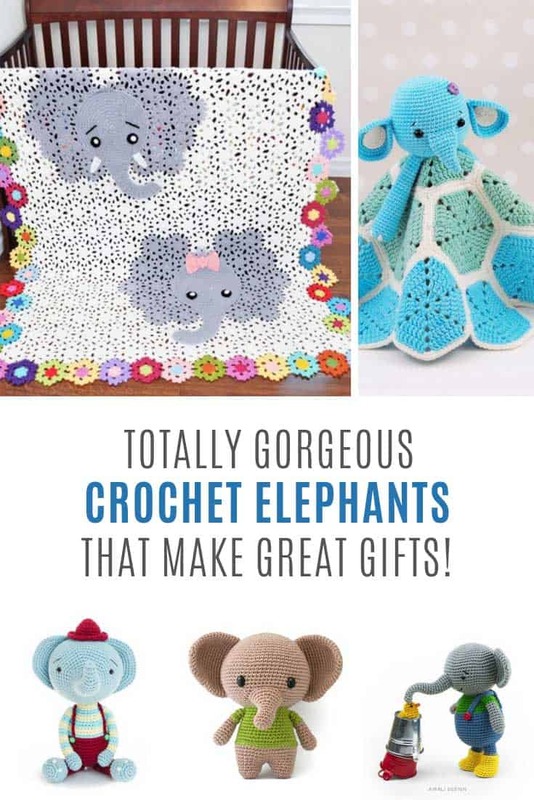 Home > Crochet Patterns > Fabulous Elephant Crochet Patterns that Make Great Gift ideas! 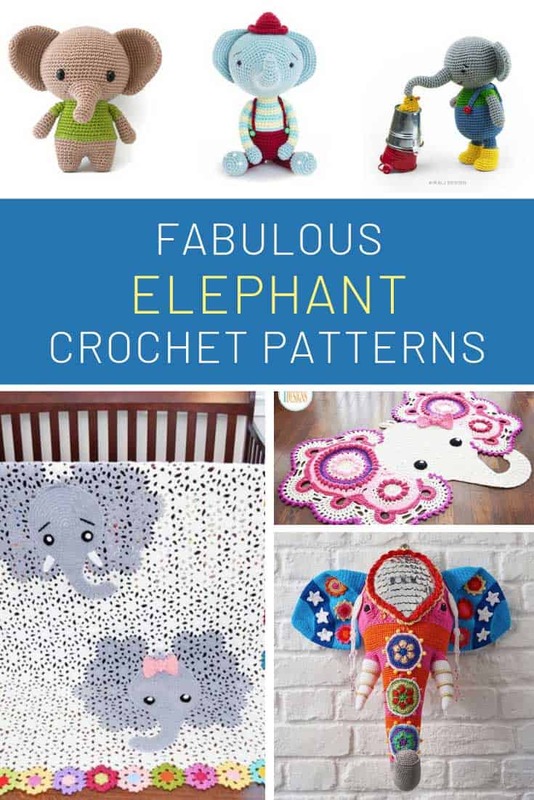 You’re sure to love these elephant crochet patterns. Whether it’s a baby shower gift or home decor there is something here for everyone! 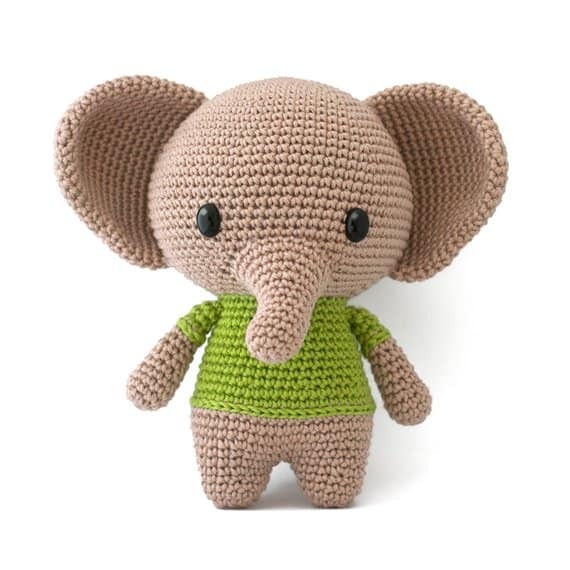 Our series of animal crochet patterns is going down a storm so today I’m back with some elephant projects for you! 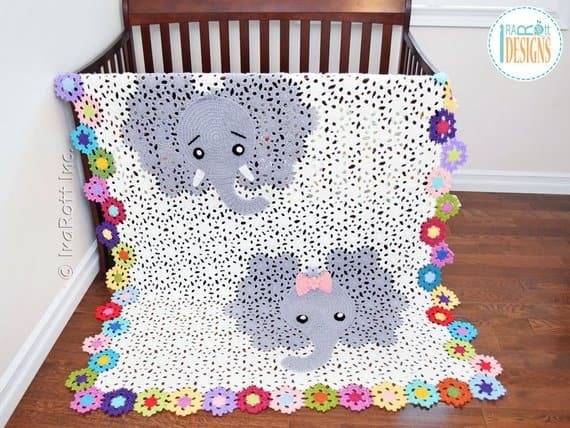 Whether you want to make a homemade baby shower gift, a toy for a child or some elephant home decor items you’re sure to find something in this list! Meet Joe, isn’t he just the cutest little elephant? He’s about 6 inches tall so he’s the perfect size for carrying around and he wants a friend to build stuff with! Oh my goodness did you ever see such a SWEET elephant! Just look at that super long trunk and those little pink inner ears! She would make a fabulous baby shower gift that’s for sure! 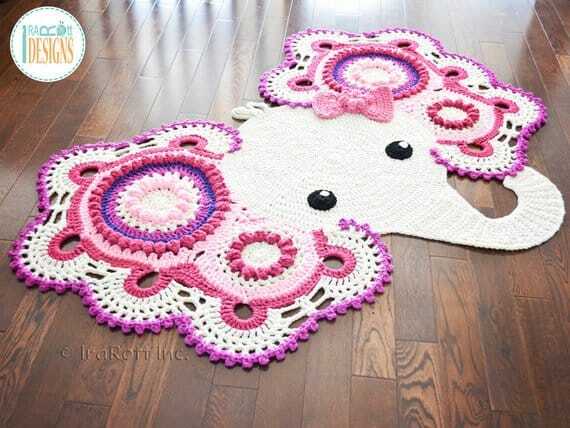 Speaking of baby shower gifts, this amazing rug would also be a good choice, it would look fabulous in any nursery! 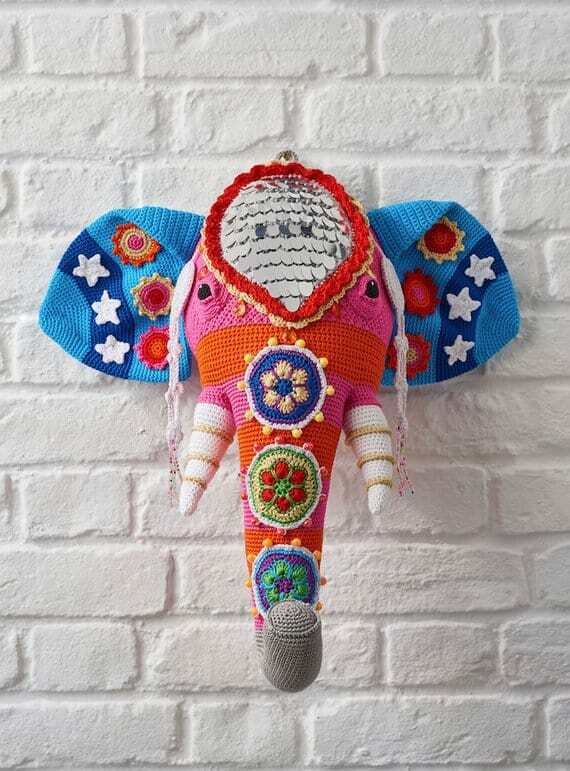 I love that you can crochet a plain coloured elephant or add some fabulous shades of colour like this one in the picture! This is Berni, doesn’t he look super smart in those red dungarees? I love his little hat too! 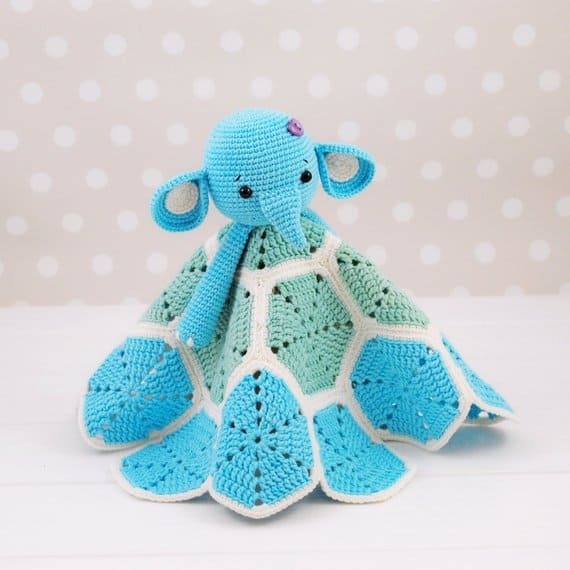 I know y’all love a good lovey crochet pattern so how about this sweet little elephant? Sure to become a baby’s best friend! 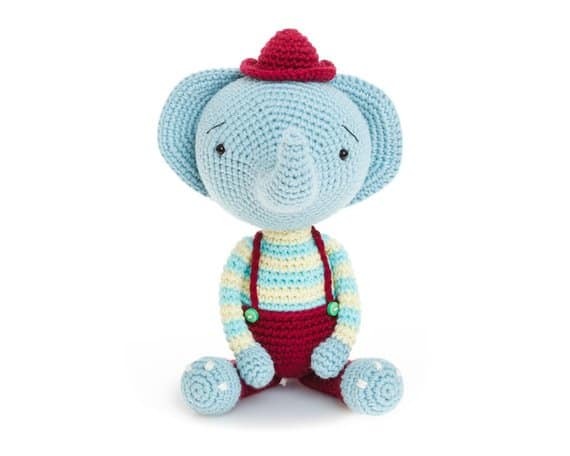 If you’re always looking for appliques to add to your blankets, hats or scarves then you need to check out this sweet little elephant! The pattern includes the gauge you need for four different sizes. 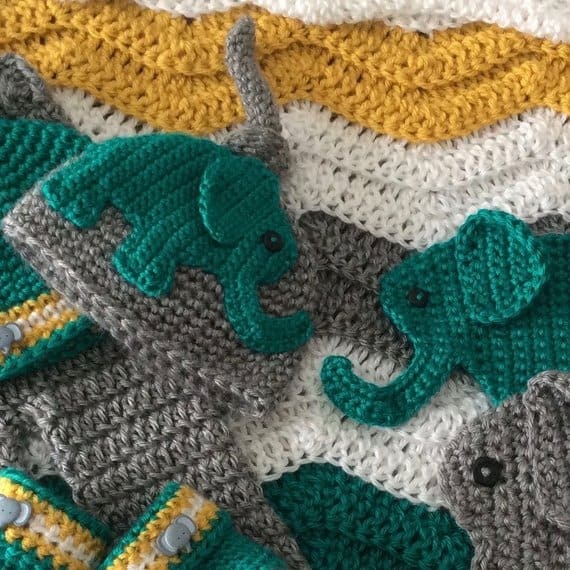 I’ve shared quite a few crochet baby blanket patterns recently so when I saw this FABULOUS design with the two elephants and the beautiful rainbow colored edging I knew I had to share it with you! Ha! Did you ever see such a cute little elephant, with his little yellow duck pal! 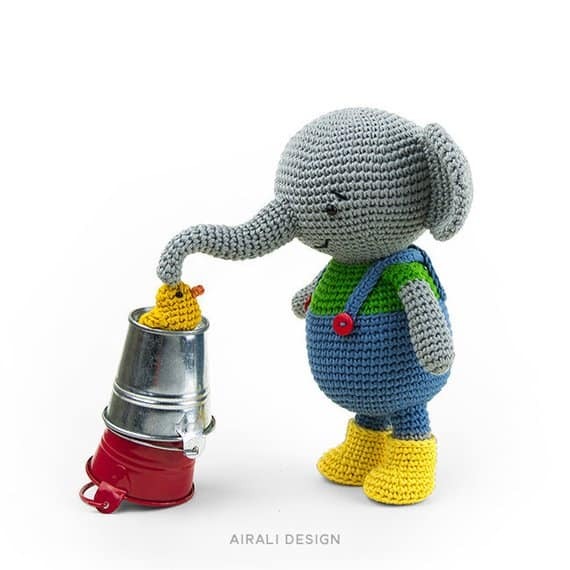 This is the perfect elephant toy for my son as his favorite thing is wearing his wellies and playing with water! 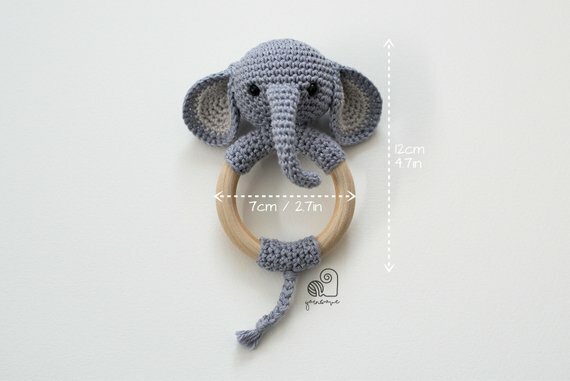 Oh and here’s another baby shower gift idea… an elephant baby rattle! Those wooden rings make great teethers too. 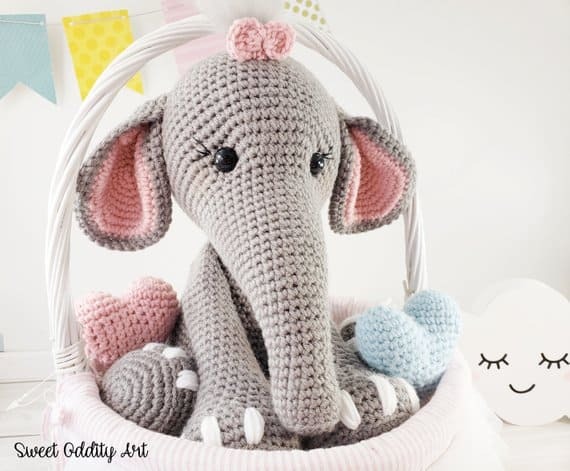 You know elephant crochet patterns aren’t just all about baby shower gifts and kid’s toys right? If you have a grown up elephant lover in your family they will LOVE this gorgeous elephant to stand on their bookcase! 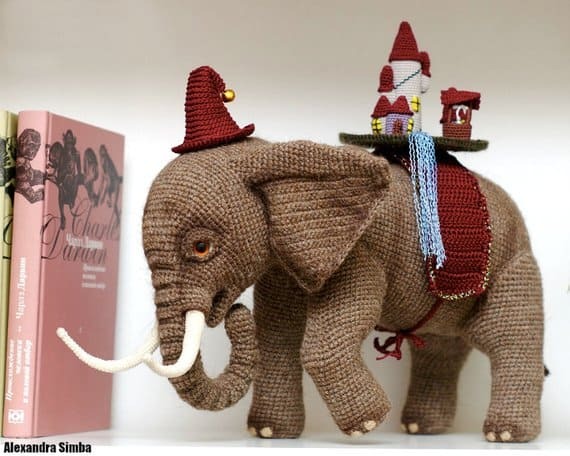 And here is another elephant you can crochet as part of your home decor. He is simply STUNNING! I am adding this pattern to my project list for sure!